While winter is still doing its last ‘hurrah’ across much of the USA, it’s just a very short time til spring-like weather is here to stay! While we’ve had a taste of warmer weather now and again, take heart – it won’t be long til freezing nights and blustery days have completely departed – now is the time for perparing your pond for spring. 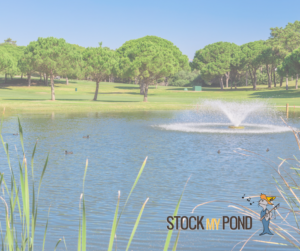 As spring is officially here, there are a number of things that we can do to get our ponds ready for the coming year. Plus, we had the whole winter to dream about what modifications we might want for our pond, and list them on our pond “to-do’ list. Here are some suggestions that will benefit you, your fish, and the quality of your pond! The fish in your pond are beginning to come out from their winter’s rest. Please keep in mind they are coming out of dormancy, and so just starting to become active – be gentle and considerate of the actions you take now during their transitional time. Remember that fish eat less during winter, which can make them especially vulnerable to parasites and bacterial infections. To prevent parasites from making your fish sick, you should begin to treat your pond once the water begins to warm-up. Do it again when you are winterizing to ensure they’re parasite-free as they come out of hibernation. Worrying about the accumulated sludge after this winter requires prudent action, as the premature use of bottom pumps, waterfalls, and other water helps, while moving the water, will seriously diminish the warm water at the bottom of your pond where your fish have been residing, forcing them to cope with immediate, colder water. That means go easy.. easy on your fish, especially as it relates to feeding and pond cleaning. Is your water temp below 55ºF? It is wise to know the temperature of your pond; a pond water thermometer is a great investment! If the water temperature is below 55ºF, then it is better to wait until water temperature rises and your fish become more active before you resume feeding. It may be tempting to want to feed them now, but their metabolism is just gearing up, so they will not be eating much, and providing food which goes uneaten will contribute to waste as well as creates an increase in ammonia. This is especially true in the low oxygen conditions which exist in our ponds right now. You can begin to feed your fish once the water temperature reaches at least 55ºF and stays there or above for at least two weeks, both day and night. The metabolic rate of fish is sluggish in the early spring, so go slow on the ramp up to regular feeding, and remember that the first food you feed them must be easy to digest. The area around your pond… pick up any storm or winter debris like branches and twigs; cut and remove any large tree limbs or move to an adjacent area to where you plan to submerge later. Rake up leaves and any blown-in litter. As for cleaning, you might use a fine net skimmer to skim off any floating debris, and some very light vacuuming in any places where plant matter in your pond has died off during the winter, creating an eyesore. To maintain the water quality of your pond, simply remove decomposed plant matter as you can and temperatures permit. Don’t worry – as we move into the warmer weather, you can be more aggressive in your clean-up efforts without having to worry about disturbing the water layers. Sludge & Muck – Yuck! The all too familiar black sludge – if it is too thick, you best keep an eye on the creature of the black lagoon! Seriously, though, sludge buildup indicates that the pond is out of balance. At winter’s end, that black muck that accumulates in ponds and lakes is typically the result of the predominately anaerobic environment that is found at the bottom of most ponds, accentuated during the winter slow-down. As most things do not decompose well in an anaerobic environment, the muck layer grows, releasing phosphorous and other nutrients which, in turn, feed green plants, algae, and pond moss. Worrying about getting rid of the accumulated sludge after winter requires cautious action, as premature use of bottom pumps, waterfalls, and other water helps – while moving the water – will seriously diminish the warm water at the bottom of your pond where your fish have been residing, forcing them to cope with immediate, colder water. Yes, the upper layers are beginning to warm, but care is necessary so as not to shock your fish with extreme temperature changes as a result of disturbing the layers in your water column. There are a variety of sludge cleaners you can consider, and when doing so keep in mind that the pre-spring temperature of your pond is substantially cooler then it will be in summer, so be sure that the product you select is not just for summer use when the water is warmer. Another successful approach is the use of pond vacs – there are effective tools for cleaning sludge and muck from the pond floor. But remember, go cautiously this early in the season, or perhaps wait until the water is consistently warm and can handle disruption without issue to your dear fish! This is a good time to perform water testing so you know what actions, if any, will be necessary. As winter brings cold temperatures which slows the metabolisms of all creatures, winter lakes and ponds will have reduced rates of photosynthesis and respiration, resulting in a lowered oxygen content, a build-up of anaerobic bacteria (smells like rotten eggs), and that build-up of sludge in your pond. If your pond needs a partial water change, this early in the season, target an 18-24% change. If your water appears to be a tea color or darker, that is likely due to tannin released from leaves or seeds which have fallen in the water, then a greater percent water change would be needed, but wait for warmer pond temperatures to minimize the chance of shock to your fish. Be sure to use de-chlorinated water; do not use unfiltered tap water from your hose, as chlorine is toxic to most aquatic life, and can cause irritation, burns and even death to fish. If your only source of new water is tap water, you should get a chlorine/chloramine (ammonia based) neutralizer which makes tap water safe, as tap water is usually toxic to fish with the high levels of chlorine and ammonia in it. Tap water previously was treated simply with chlorine, but now chloramines are typically used, and unlike chlorine, chloramines do not evaporate. These treatments are good to keep our drinking water safe by getting rid of bacteria, but it does not differentiate between bad bacteria and good bacteria in your pond. You need to be sure to read the labels on the products you are considering, as with chlorine and ammonia removal agents, some compounds perform more than one action, you want to be aware of this so you do not over-apply any product. Also, remember that many ammonia removers are acids, so repeatedly adding them will cause your pH to drop. Carbon also can be used to bring down chlorine levels, as well as improve bacteria populations and help with sludge. Continue with any aeration you had in place. Filtration… very obvious and most important: make sure that your filtration system (if you use one) is hooked up and ready to go, do any necessary servicing now. Once water temps in your pond rise to around 55-60 degrees, start your filtration. Predators… not usually on a pond “to-do” list, but predators can sure upset the apple cart in their quest for a tasty meal! Was your pond a popular spot for predatory pond birds last season? Or did a new family of raccoons move in lake-side? There are simple steps to address these ‘pesky’ issues before they require more aggressive measures. Get to know your local predators; if you need help, your local animal control unit should know of what animals that cause trouble in your area. Decrease the opportunities for plunder by deterring the predators that pose the greatest threat, using any combination of netting, decoys, repellents, alternate sources of food & water, pond depth changes and camouflage adjustments. Once you have the necessary things handled, you can perhaps plan to do a little improvement! You know how much you enjoy fishing on your pond or just relaxing near-by. Is there a waterfall or fountain that you’d like to add to your pond? Stock My Pond offers a sweet little fountain that will add some oxygen to your pond while making it a prettier, more relaxing place to be! The fountain is low cost to operate and offers several different and yet unique patterns. With only four main parts (motor, float, screen, and throat) it takes only a few minutes to assemble. It costs less than $.05 an hour to operate and offers six different spray patterns, and comes with a two-year warranty. This fountain gives you an improvement in your fish, your pond and for you; it is sturdy, performs well, inexpensive to run, and has a good warranty. To order this fountain, or for more information, call Stock My Pond at (501) 676-3768. This entry was posted on Thursday, March 22nd, 2018 at 8:55 am	and is filed under Articles, News & Updates. You can follow any responses to this entry through the RSS 2.0 feed. Both comments and pings are currently closed.